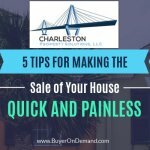 Charleston House Selling Tips: Selling a home in today’s real estate market can be done in several different ways. Selling a home does not always require a realtor®. When selling a home today, you do have several options. You can sell the conventional way, with a realtor®, you can sell you home “For Sale by Owner” or you can sell your Charleston home fast by contacting a local real estate investor. Each one of those ways has there disadvantages and advantages. If you need more information on which is the best way for you to sell your house, much information can be found through the Internet. The online world has changed everything when it comes to selling a house. By taking advantage of today’s technology you can use it as a tool for you to sell your home fast and at a reasonable price. 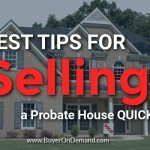 Selling your Charleston house with an agent or “FSBO”, you should follow some proven house selling tips. So, below are steps that you should follow and never underestimate when selling your home that can really help you. Show the very best condition of your home. Make the best first impression to your potential buyers.. Get rid of dirt and rubbish, remove all clutter, repairs all the flaws that you can find and get rid of unused furniture to make it looks spacious. You should also be aware of any costs that you have spent in selling your home, whether it is attorney costs, closing costs, advertisements costs, etc. Selling your home by yourself is not as easy as it seems but it is worthy to do because you can save about 2-6% of your selling price. However, selling your home privately or ‘FSBO’ can take much time and effort for you to sell it. There are many ways to market your home, especially now that the internet is such a powerful home selling tool. Here are a few things you may want to have prepared and/or be prepared to do:. · Take the time to write an ad that will help you home stand out from all the others houses for sale. 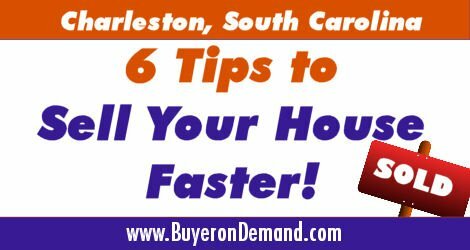 These 6 house selling tips will help you to sell your Charleston home, but never hesitate to ask for professional advice if you meet some problems while you are in the middle of selling process. 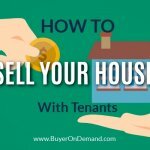 Another way to sell your house without all the hassles and headaches that can come with selling a house is to sell to a local Charleston real estate investor. Selling to a real estate investor can be extremely effective and fast. Selling your house with Charleston Property Solutions also means you won’t have to pay commissions and in most cases you won’t have to pay closing costs either. 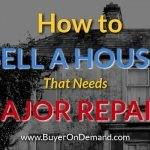 Does you house require costly repairs before it is sell-able? You won’t have to spend a dime to sell your house to us, because we will pay with our own money and take the time to fix/repair and replace anything in your home that is outdated or damaged. If your Charleston house is not selling and/or you are looking for the fastest way to sell your Charleston house, contact Charleston Property Solutions at (843) 478-7206 or complete our short home seller questionnaire below and start the selling process today!